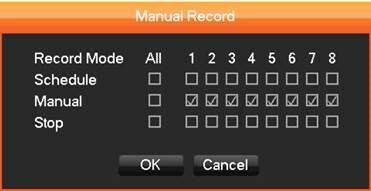 Right click on the camera screen and left click on “Record” make sure the system is setup for Schedule. 2. 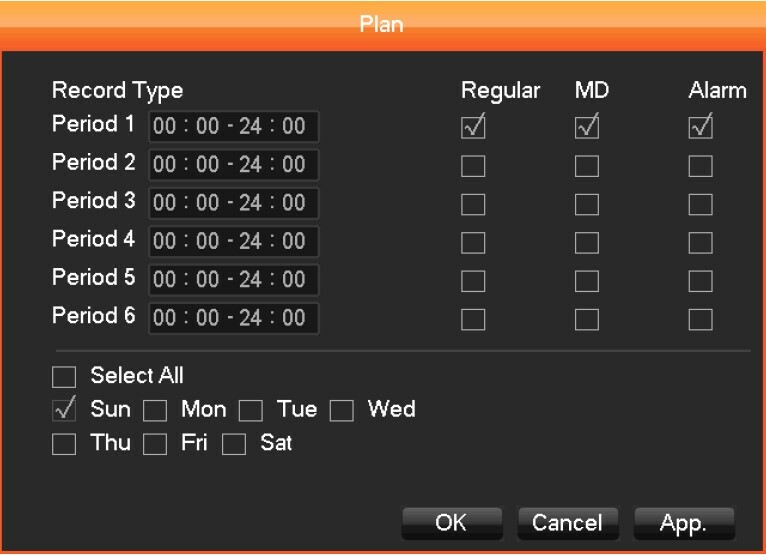 Go to Main Menu>Configuration>Record>Record Plan>SET>Select period 1 for Normal(Continuous) or MD (Motion Detection) and then check the Select All box to copy the settings to the rest of the week. Click Apply then OK. If you’d like to set up a different schedule for each day, set the record plan for specific days individually. 3. 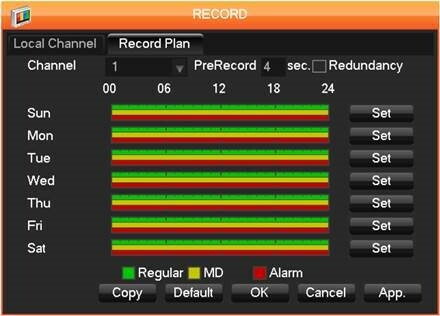 Click the “Copy” button in the Record Plan section to copy the settings to all the other camera channels, press Apply and then Ok. All channels will have the same color scheme if this is done correctly.